A Service You Will Need, Sooner or Later! In today’s word, every Bar an Restaurant have their own ICE MACHINES. Unfortunately, every Ice Machine slows down when it’s hot and sometimes, they just quit working! Especially when you are busy! Acton Ice Delivery has got you covered! We specialize in FAST DELIVERY for Bars and Restaurants. If you need it now, we are the company to call. 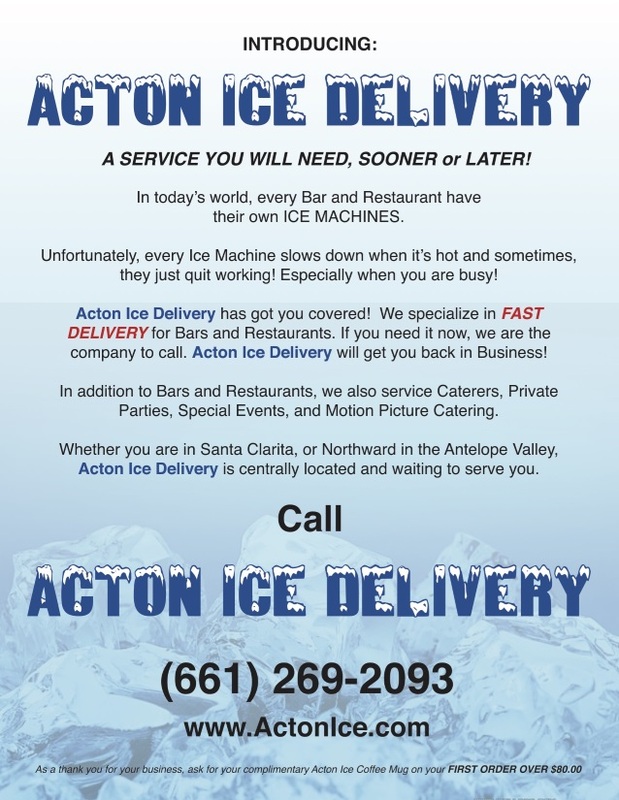 Acton Ice Delivery will get you back in Business! In addition to Bars and Restaurants, we also service Caterers, Private Parties, Special Events. and Motion Picture Catering. 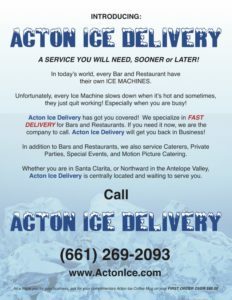 Whether you are in Santa Clarita, or Northward in Antelope Valley, Acton Ice Delivery is centrally located and waiting to serve you.